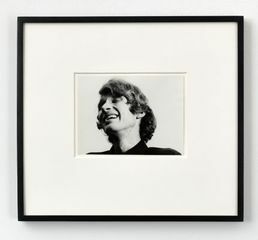 Klosterfelde is pleased to present a selection of works by Bas Jan Ader. This solo-exhibition features rarely before displayed vintage photographs of two of his most important works as well as two films. Dutch born and California-based artist Bas Jan Ader (1942-1975) mysteriously vanished in 1975 when he set sail on what was to be the smallest sailboat ever to journey across the Atlantic during the execution of the second part of his project “In Search of the Miraculous.” Ader did not return from this sailing trip, however, and the work was never completed. Although the wreck was found off the coast of Ireland a year later, Ader himself was presumed lost at sea. In this exhibition, we revisit one of the initial works of that project by displaying the vintage studies for “In Search for the Miraculous (One Night in Los Angeles),” (1973). 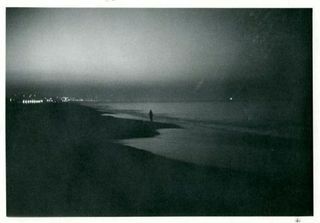 The dark and shadowy images depict Ader walking all night starting at the Hollywood Hills down to the Ocean with a flashlight. A slight, often distant figure against the backdrop of the sprawling city with a tool absurdly out of scale considering the existential quest implied by the title. In “I’m Too Sad to Tell You” (1971), an especially poignant and enigmatic work, the artist reveals himself in the act of crying. This work was documented through both photographs and video and was performed in 1970 and 1971. The studies on display depict candid shots from one of Ader’s most personal works. Bas Jan Ader produced a significant body of work on the theme of falling. A number of short films from the early 1970s, shot in black-and-white on 16mm film (here transferred onto DVD), feature the artist himself. 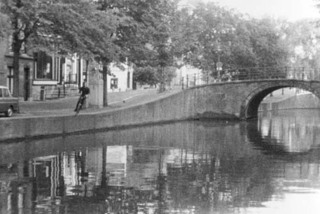 In “Fall 2, Amsterdam” (1970) the artist appears from a side street on a bike cycling along a canal in Amsterdam. Without halting, he steers his bicycle right into the canal plunging into the water. In “Broken Fall (organic)” (1971) Ader dangles from a tree branch, several meters above a ditch. Trying to defy the laws of gravity, he swings, repositions his hands, hangs still, and eventually loses his grip and falls into the water. The central aspect of both films is the artists fascination with that tiny moment between the actual fall and the before, that moment of letting go of one’s control aiming to extend this special moment, making it eternal. Like many conceptual artists working in Los Angeles during the 1970’s, such as Ed Ruscha, Gordon Matta Clark, Robert Smithson, and Chris Burden, he was interested in the relationship between art and life, performance and photography, and the actual object and its documentation. Recurring themes are scepticism of artistic utopias of harmony and equilibrium and the frailty and instability of human existence. Ader’s work shifts between the intensely personal and the extremely arbitrary without ever being strictly narrative.